Each student will receive a certification of attendance from Olschimke Beratungsgesellschaft mbH. 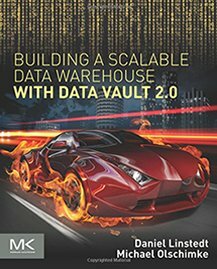 In addition, students can attend one private certification test for a Certified Data Vault 2.0 Practitioner (CDVP2™) as outlined by Dan Linstedt for free.You can select the option “without Certification” in the registration if you do not want to take part (-300 CHF). Extend your early bird discount until last minute! Only valid until April 27th, 2019.